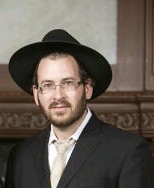 Rabbi Yehoshua Efraim Juravel grew up in Monsey, NY. He learned in Telshe Chicago and in South Fallsburg. Rabbi Juravel then continued his studies at Harav Simcha Maimon’s yeshiva in Yerushalayim. Subsequently, he returned to New York to learn under Harav Yaakov Drillman, of the Novardok Yeshiva. Upon his marriage to Chaya Toba Schecter from Montreal, the Juravels settled in Yerushalayim. Later, Rabbi Juravel joined Kollel Yismach Moshe in Toronto, until he relocated to Cleveland and joined the Kollel.